April 14 (AZINS) The six-time women’s world boxing champion MC Mary Kom is one of the hardest hitters of the game. However, when she is not wearing gloves, Mary Kom loves to sing and it's safe to say that "her voice packs a punch too". 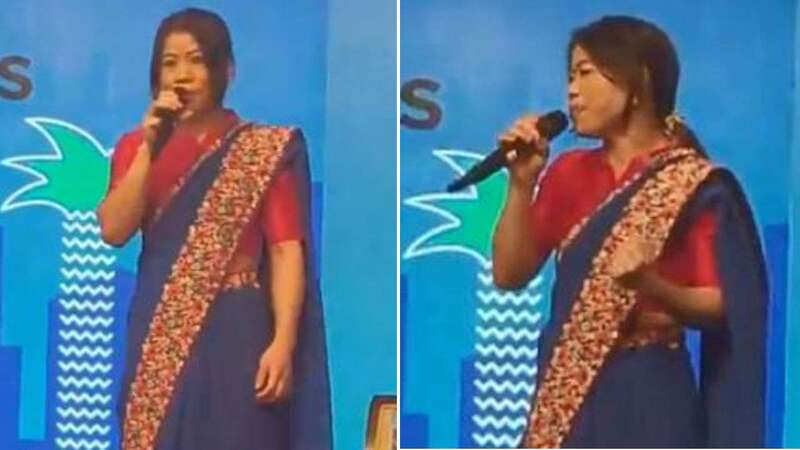 The Manipur sports star was seen belting out tunes with all her heart at a corporate event recently. A video of Mary Kom singing 'What’s Up' by the erstwhile American rock band '4 Non Blondes' has gone viral. Her video is making waves on Twitter with users praising the multi-talented icon. This is not the first time she has shown her singing talent. Mary Kom was seen in a video singing Lata Mangeshkar’s classic song 'Ajeeb Dastan Hai Yeh' at an event last year.